Sweet Canyon was diagnosed with advanced kidney disease on 5/16/17. He will be in the hosptial in Fort Worth for weeks and will need to have nightly dialysis and eventually a transplant. While his Dad, Mom, and two younger brothers are with him in Fort Worth, his other siblings are home in San Angelo under the care of family. The Martins are staying in a hotel in Fort Worth while Canyon undergoes treatments. Because this happened so suddenly, the family wasn't able to get many supplies for their extended stay. They have to care for their two youngest children while also helping their kids back home. Canyon will not be able to finish out the school year and see his friends. 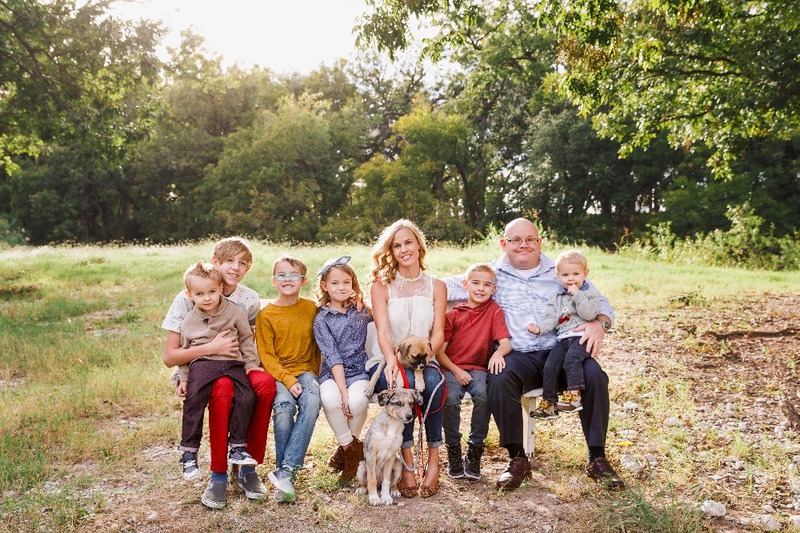 This fund is for anyone who wishes to help the Martins with extra expenses, food, medical costs, and anything that Canyon needs to make his time in the hospital more comfortable. His favorite hobby right now is Minecraft. Whatever you feel compelled to give will be used to help this amazing family during this very difficult time. Even kind words and well-wishes are appreciated. We will be updating this page as we get more information about Canyon. We got the call. WE HAVE A NEW KIDNEY! 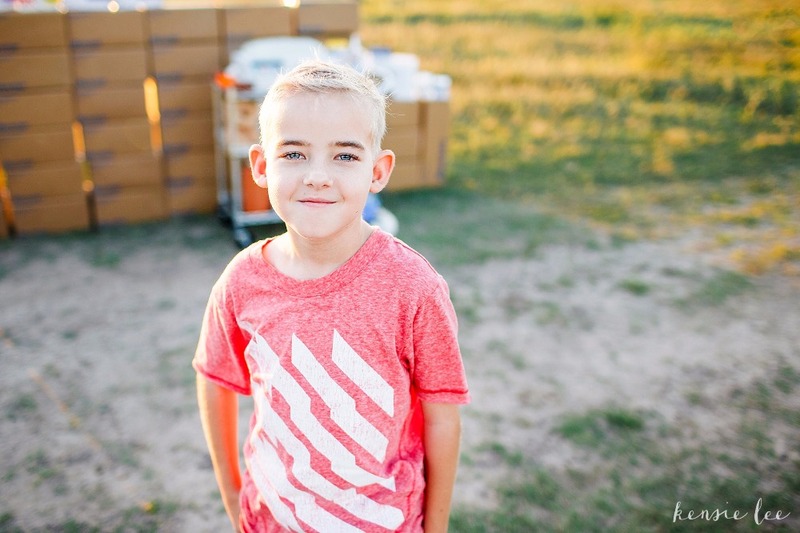 We received a call at exactly 8am on December 23rd with the news that there was a kidney available for Canyon. They felt pretty confident about it so the coordinator asked us to make the trip up there. It is about four hours to the children's hospital and we arrived around 12:30pm. It took a few hours for a room to become available and once we were situated, they did labs and said it would be about six hours for the results to be back. During this time we relaxed, listened to Canyon complain about being hungry (hah! ), he got a nice bath/shower, and we watched some movies. At around 9:30pm, we received word that the transplant was a GO! Around 10pm they wheeled him downstairs into the pre-op and a little before 11pm, they started the surgery. By 4am on Christmas Eve, my son had a working kidney! He did wonderfully and now we are just busy staying isolated in the Ronald McDonald house next to the hospital for the next few months. Canyon's labs are all looking pretty good and he's enjoying being able to eat potatoes again. He's on a lot of medications right now with some not so pleasant side effects but he's handling it all with a smile on his face. He's the strongest and bravest kid I know. When one of the nurses told him he received one of the best Christmas gifts ever, he replied back, "No, not really because someone had to die." He's very aware of the donor and their family. It's a bittersweet feeling - knowing someone else lost a loved one while we celebrate our new life with a working kidney. We think of them daily and can not thank them enough for donating life. 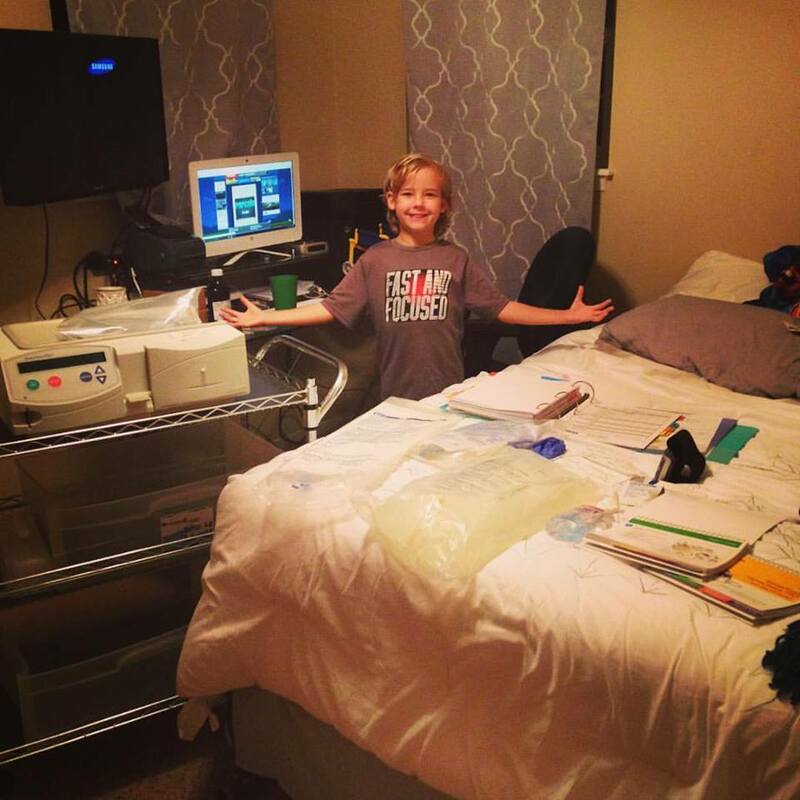 Canyon has appointments three times a week right now to ensure his body is adjusting to the new kidney. Maybe in February they will be decreased to twice a week visits and then maybe in March, it will be weekly visits. It's a lot of lab work and appointments and we are cautiously optimistic! He will be away from home for the next few months which is difficult for him, his siblings, and us. We will take it all one day at a time and get through this. We sincerely appreciate all of the love, support, and donations during this time. 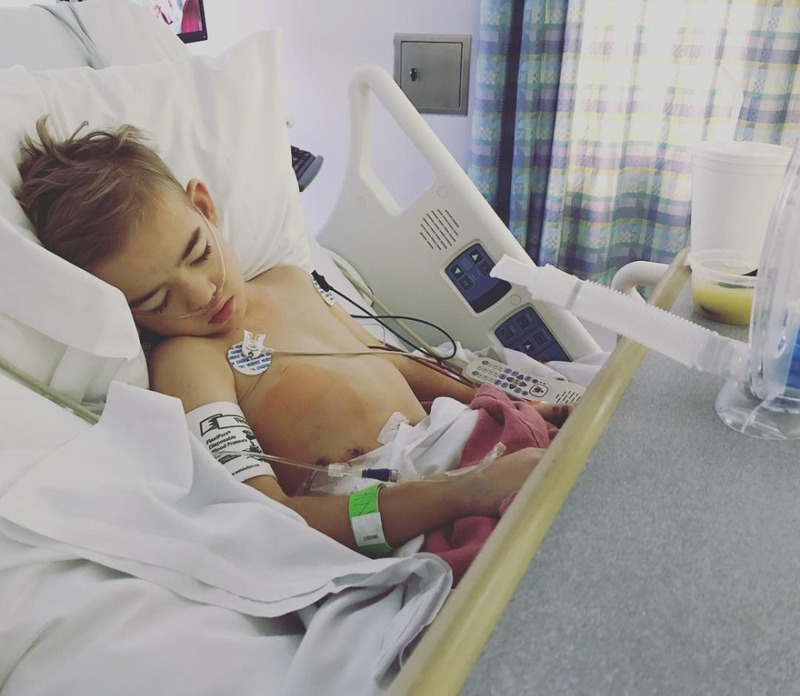 All donations are being used to pay for our transplant related expenses (housing, food, meds, gas) and anything left over will go in Canyon's kidney fund to be used at a later date. 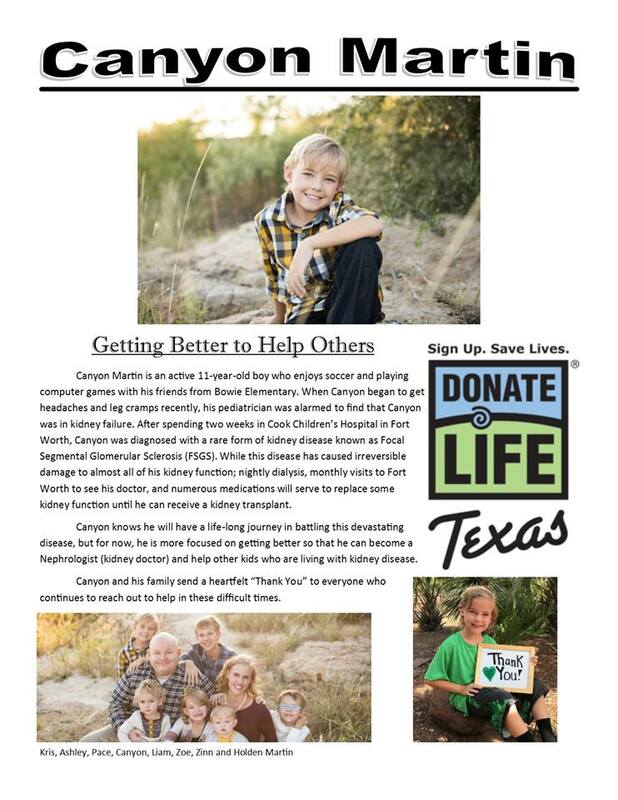 It's important to remember that there is not a cure for what Canyon has - even a transplant. This is just a treatment option for him and it's very unlikely that this kidney will last forever. We will enjoy every single day with this kidney though and hope it works for many, many years. He's very excited to be off of the dialysis machine and to have sleep overs again! 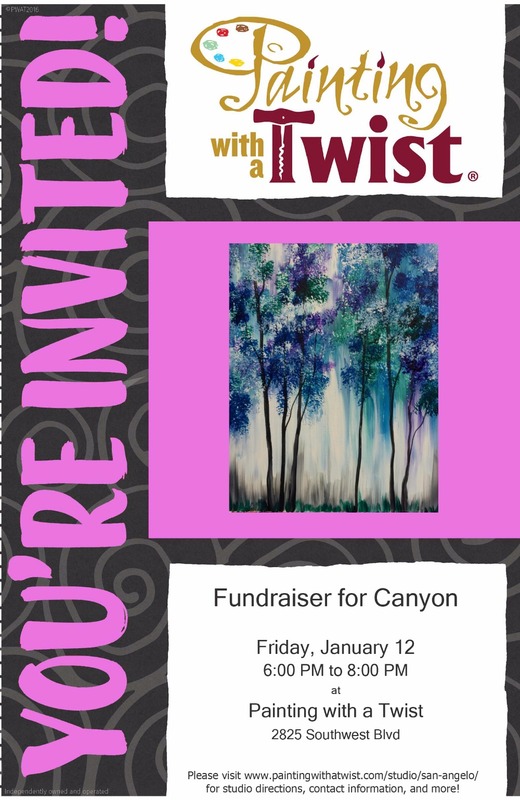 If you are local to us - San Angelo, Texas - there is a fundraiser for Canyon on January 12th at Painting with a Twist. I would love to see you there!! 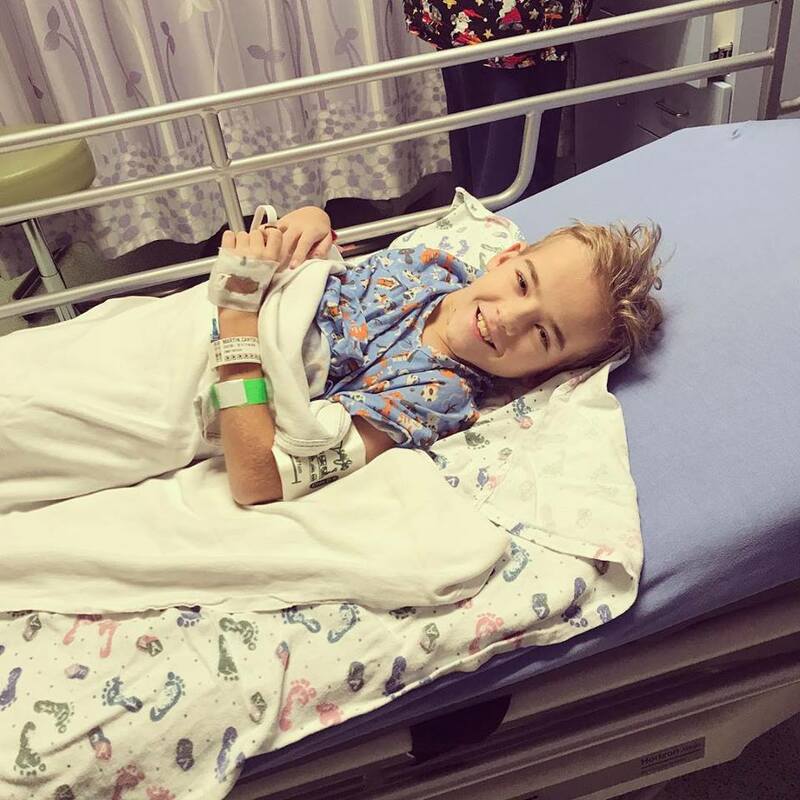 All smiles for his transplant surgery! We have some AMAZING news to share. 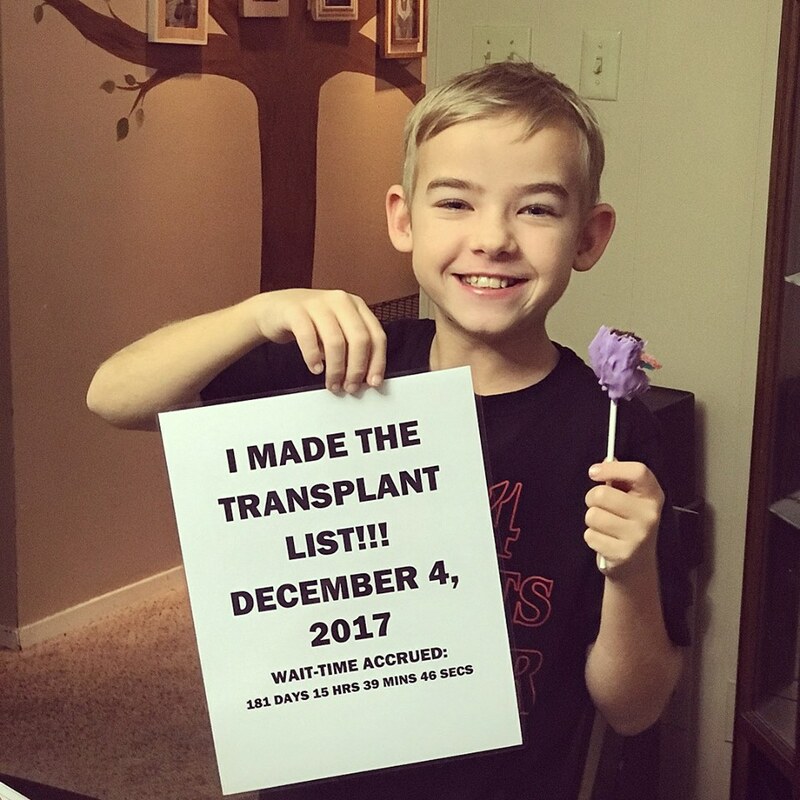 We are so happy to announce that Canyon has made the UNOS transplant list as of December 4th, 2017! We are so VERY excited to have made it this far. The "call" can literally come at any time now. I have packed a suitcase for the kids so far, along with a toiletry bag for myself. I'm nervous, excited, anxious, everything all in one but am hopeful for this next step in his treatment plan. Canyon is doing really well. A few days before Thanksgiving, his care team decided it was time to pull his old dialysis catheter and have it replaced. We had been having a few issues with it - the interior cuff was exposed, we had a staph infection next to it, and he was starting to experience pain with it. He had the surgery for catheter replacement on November 20th. It took about a week for him to get back to normal and this new one looks absolutely AMAZING. It's draining very well and he has absolutely no pain associated with it. Hopeful that this one will last until transplant time. We sincerely appreciate all of the support during this time! If you are in our area - Painting with a Twist is hosting a fundraiser for us on January 12th. We would love to see you there! We have some amazing news to share regarding Canyon! We were referred to the transplant team a few weeks ago to begin the transplant workup! This was exciting news. Needless to say, we have a huge list of things to get done before he can be added to the list. We have begun to meeting with the transplant team members which include: dietitian, child life specialist, financial counselor, social worker, infectious disease physician, pediatric surgeon, nephrologist, transplant pharmacist, and the transplant coordinator. We also have to complete these tests: blood typing, tissue typing and crossmatch, lab studies, EKG, radiology (chest XRAY, bone age, VCUG, and renal sonogram), psychosocial evaluation, dental visit, TB skin test, 24 hour urine collection, updating any vaccines, and meeting with all of the transplant team members. I am happy to announce that we have done quite a few of these things already and are meeting with a good majority of the transplant team members in a few weeks at his next check up. This has been hard to coordinate all of this when we live so far away but it'll get done when it gets done, I suppose. He did need a booster shot of varicella so at the minimum, we will not be on the list for six weeks following a live vaccine. My personal hope is that he'll be on the list before Christmas. Everything is going pretty well with Canyon. He's doing really well in school. All of his labs are coming back in normal range - his dialysis is still going smoothly - he is so ready for the holiday season though. He's been busy making his Christmas list. This past week we noticed his exit site near his catheter was looking a little red and inflamed. We ended up emailing pictures to his nurse in Fort Worth who decided to put him on oral antibiotics for 14 days and also requested a swab of the exit site for a culture. We got those results in on Thursday which did show a Staph infection. Luckily the antibiotics seem to be working pretty well and we are hoping it doesn't spread into the inside of his belly and create an infection there. This was our first infection and it was a hectic week. Please keep him in your thoughts as we navigate this transplant process. I am thinking that once he's on the list that things will move relatively quickly. Once he has a transplant, we will have to temporarily relocate to Fort Worth for at least two months. He'll be in the hospital for at least a week depending on how he feels and lab results. No public places for three months post transplant. I've decided that I can not stress about the future or how we will make this work so - I won't. One day at a time and that's TODAY! And TODAY is a GREAT day! Photos are all taken by the amazing Kensie Lee Photography. Hello everyone! We wanted to give everyone an update on Canyon since it has been a while. 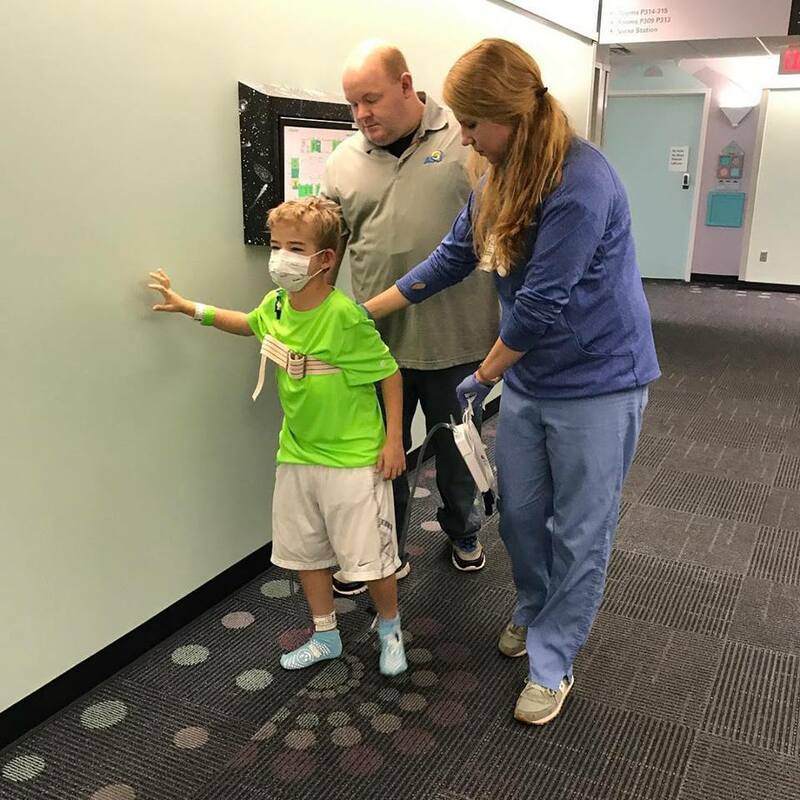 Canyon was released from the hospital on May 22. Once he was discharged, we had to stay another week to do training on how to do the dialysis at home. That was really overwhelming to all of us but we managed. On June 6th, we started peritoneal dialysis. This is performed while Canyon sleeps for approximately ten hours every single night. It has went pretty smoothly - he experiences no pain during his dialysis! He is such a trooper. Things are less overwhelming now that we have settled into a routine. His peritoneal catheter MIGHT have to be replaced. It hasn't been healing that well and the inside part of the catheter is exposed. Canyon obviously doesn't want another surgery, and neither do we, but we need to do what is best for him. I'll keep everyone posted on that. All in all, all of his lab work has been in the target range every single month. He is also being seen by an endocrinologist at the same hospital. He is very small for his age (always has been) so we have the go ahead to start growth hormones to see if those stimulate any growth. He's very excited about this! We are about a month ago of hitting our "six month" mark of being compliant on all doctor appointments, diet, dialysis, and meds so we should be on the transplant list very soon. We are all very excited about the start of that journey. 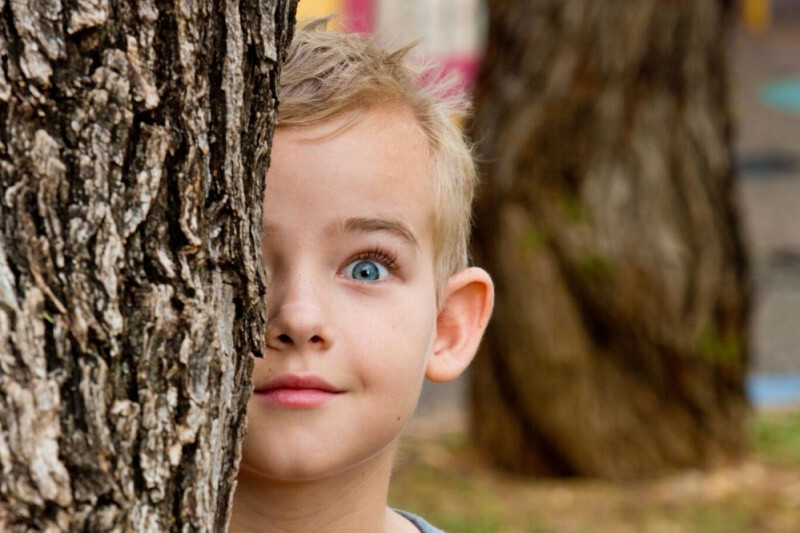 Canyon was also nominated by a child life specialist to have a photography session with Gordon Trice. 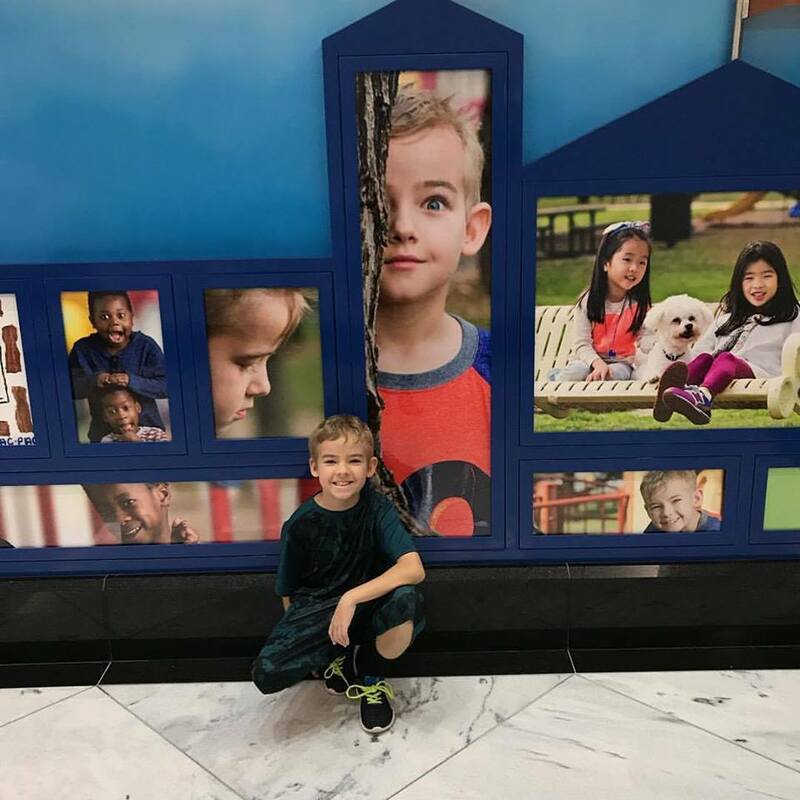 His photographs are now on display in Cook Children's Hospital! It was very neat to see his beautiful face on the walls of the very place that saved his life. Right now our main goal is saving up for Canyon's future transplant expenses. We will have to temporary relocate to Fort Worth which is about 4 hours away for about two months once he has the transplant. I am unsure of how we will logistically do this with six kids but we will make it happen. 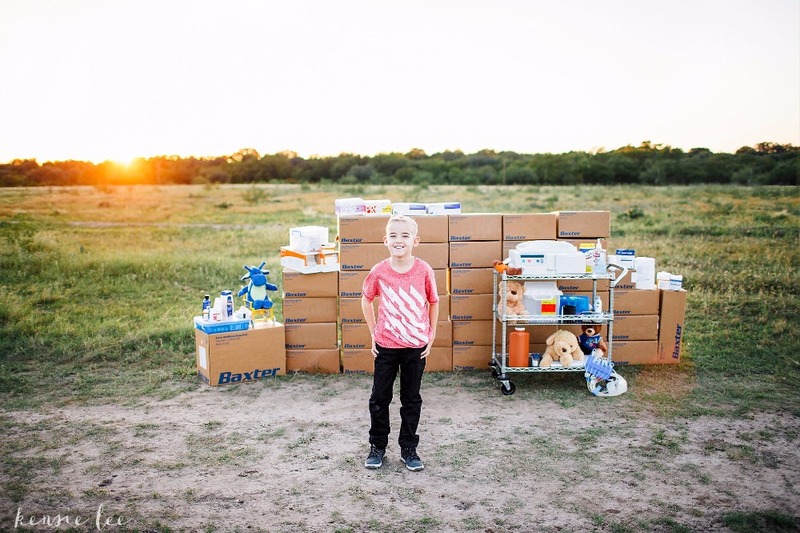 All funds will be used in traveling expenses for Canyon, Medicare premiums, hospital expenses, medicines, food, or childcare needed for our other children during this time. We sincerely appreciate all of the love and support during this time. Canyon's pictures in the hospital!